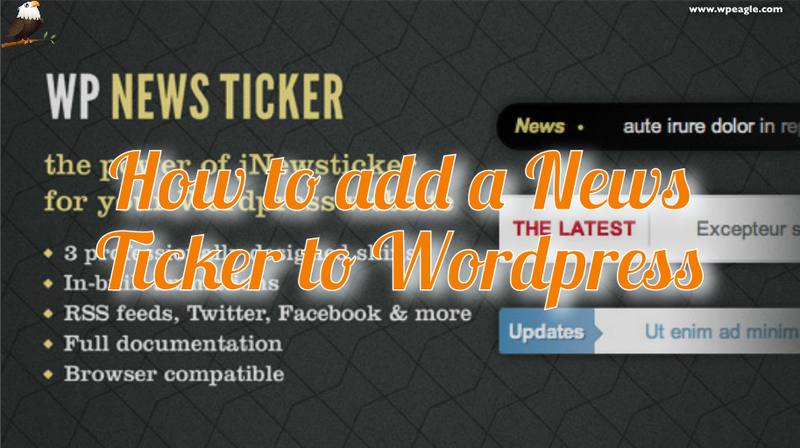 How to Add a News Ticker to Wordpress. Video Tutorial. Want a scrolling news ticker on your WordPress site? Maybe include some latest posts, tweets and some freeform text. No problem! In this video we install the JW News ticker plugin which is available on Codecanyon for just $12! Populate news items from RSS feeds, Twitter, Facebook, recent posts and recent comments, or create your own free form news items (new in version 1.1). Support for custom post types is built in.